UNIVERSITY student Michelle Jory is itching to show the world that the Catholic Church is alive when the Year of Youth kicks off in Australia next year. The Brisbane nursing student is one of thousands of young Catholics and youth ministry leaders preparing for the special national liturgical year initiated by the Australian Catholic Bishops Conference (ACBC). The Year of Youth, which begins in Advent of 2017, will also build on the legacy of the World Youth Day in Sydney 10 years on. 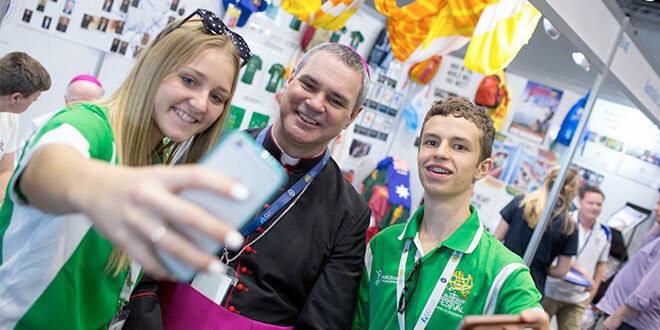 Australia’s bishops have announced the theme, Open Horizons for Spreading Joy: Young People, Faith and Vocational Discernment, to align with the topic for the 2018 Synod of Bishops in Rome. Miss Jory, who is the youth ministry co-ordinator for Brisbane’s Carina parish, is grateful to the Australian bishops for deciding to honour young people over an entire year. “I think it’s a lovely way to honour the youth of the Church and also recognise us as leaders of not just tomorrow but today,” she said. ACBC president Archbishop Denis Hart said Australia was in a season of discernment “with young people a crucial part of that journey”. “In 2018, we want to engage with youth in new ways and they with us, helping young people to encounter God in Jesus Christ,” Archbishop Hart said. Archbishop Hart invited young Australians to “open your hearts to Christ”. “You are deeply loved by Jesus and the Church,” he said. Miss Jory said Brisbane youth event Ignite Conference had allowed her to share her faith with the world. “It made me let go of my preconceived ideas and the walls I put up about being Catholic,” she said. On the theme of vocation discernment and faith, Miss Jory encouraged more young people to think about their future during high school. “You can end up having a strong sense of self in your life,” she said. Miss Jory said her work as a parish youth ministry co-ordinator was “the most fulfilling job position” she had had. “Some come in not having much belief in God or a prayer life, and then they will come and say, ‘Can I go sit in the church for 10 minutes?’,” she said. Vietnamese Eucharist Youth group leader Canossian Sister My Vu, based in Inala, is already supporting young people to discover their vocations and life’s purpose. Two years ago Sr Vu asked her order for the opportunity to work with young people, and took up a role with the Vietnamese community’s youth group. “I really enjoy working with youth and children,” she said. Sr Vu said while many young people were joyful “so much is external”. “It’s not real joy,” she said. “I can see there is a sadness in their eyes, they are yearning for belonging. Sr Vu is now determined to help young people find their purpose in life by being in relationship with God, one of the spiritual works of the Canossian Sisters. “Something they (young people) really lack is to know God and Jesus more personally,” she said. “I think through my experience, I was the same age when I was searching for the meaning of my life. “Young people are yearning inside but they don’t know what to discover or search for. “There’s not really any guidance; parents and the community are there but something is missing, especially from our culture. “There is also a negative view of religious life and the priesthood, and here in the context of culture, that is so dominant. Brisbane Vocation executive manager Adam Burns said the theme for the Year of Youth in 2018 spoke at the heart of vocations ministry. “For young people, and for all of us, really, vocational discernment can’t happen without the other part of that (Year of Youth) theme, which is faith,” Mr Burns said. “We need to have faith to discern our vocation, and as we listen and follow the call we continue to grow in faith. Vocation Brisbane will be posting its journey towards the Year of Youth on its website vocationbrisbane.com/yearofyouth and on its social media accounts. 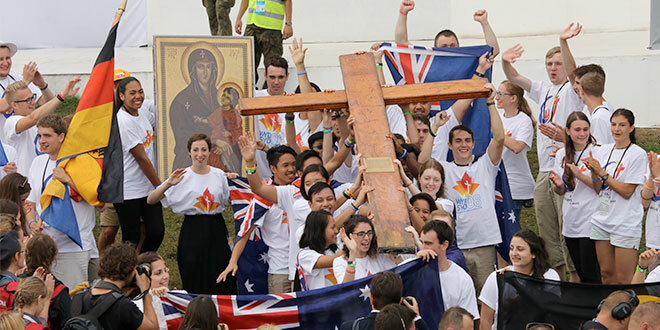 The Year of Youth will kick off next year with the biennial Australian Catholic Youth Festival in Sydney from December 7 to 9. For more information about the Year of Youth visit youth.catholic.org.au.